The oldest of the Soviet navy’s barges for storing spent nuclear fuel and radioactive waste has safely arrived for long-term storage at the Saida Bay facility on the Kola Peninsula. PM-124, a barge built in 1960, is severely contaminated by radionuclides after serving the Zvezdockha shipyard in Severodvinsk since the first nuclear powered submarines started to sail for the Northern Fleet. The barge has four storage compartments for a total of 560 spent nuclear fuel assembles, equal to three reactor cores. Additionally, there are several onboard tanks for storing liquid radioactive waste. Already in Soviet times, PM-124 was in bad shape and the idea was to remove it from active use in 1985, but lifetime was expanded until 2005. Since then, the barge has caused a real radiation safety headache for the shipyard in Severodvinsk. Although the spent nuclear fuel is unloaded, the hull is still highly radioactive. Also, after 2005, the storage compartments have been used for solid radioactive waste. 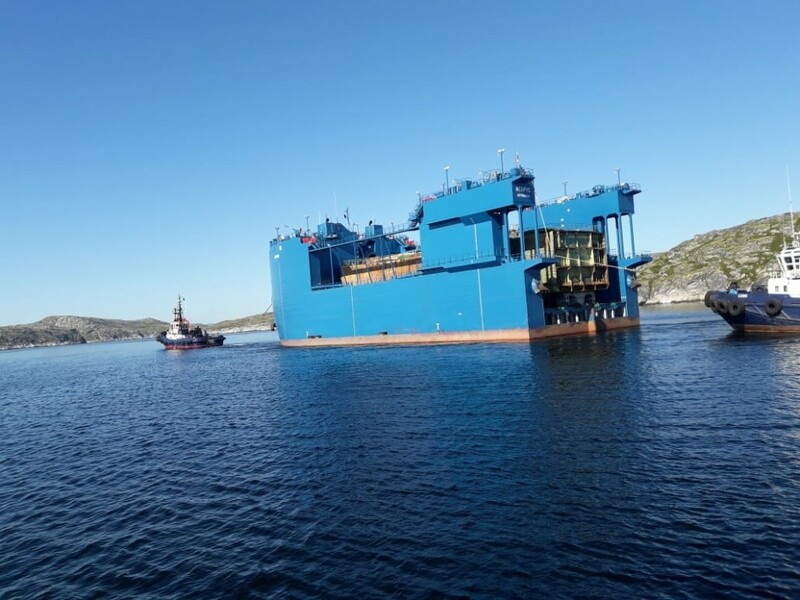 Rosatom, Russia’s state nuclear corporation, has looked into way of transporting PM-124 out of Severodvinsk, but since the barge was not well-fitted for long-distance towing, a final solution came up this summer by using the newly built “Itarus” floating dock for the transport across the White Sea and Barents Sea to the regional long-term storage in the Saida Bay. “Itarus” is financed by Italy through the Global Partnership for nuclear safety and arrived to the Kola Peninsula in 2016 aimed at transporting reactor compartments from decommissioned nuclear powered submarines. “At last the task is completed – we removed another radiation-hazardous object from the territory of the Arkhangelsk region and it no longer poses danger to the population,” says Anatoly Zakharchev, head of Rosatom’s project for disposal of nuclear submarines in a statement posted on the projects portal. Now, the barge will be sealed in special packages and placed for long-term storage at the giant pad in Saida bay where most reactor compartments from decommissioned submarines already are stored. Saida bay is about 60 kilometers northwest of Murmansk on the coast of the Barents Sea. 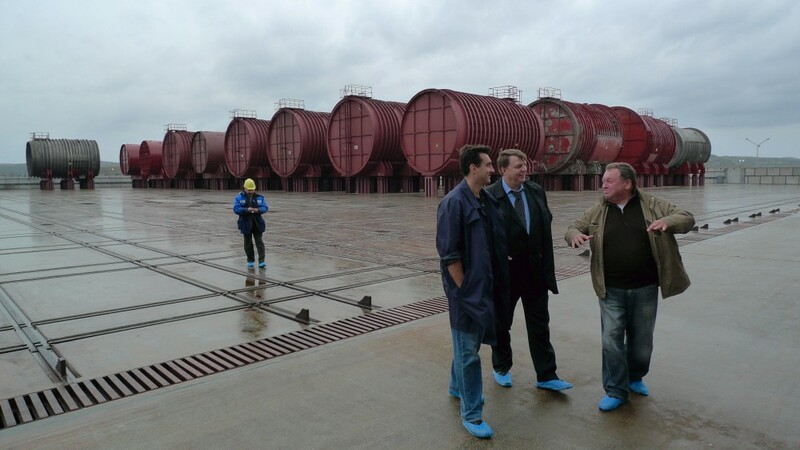 The storage site has a capacity of 120 reactor compartments from submarines, surface warships and icebreakers. In addition, 58 units from nuclear service vessels, like the PM-128, will be stored at the concrete pad. The site will also get storage rooms for up to 100,000 cubic meters of solid radioactive waste.